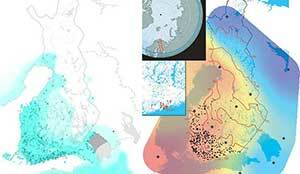 PhD Thesis Palaeogenomic and biostatistical analysis of ancient DNA data from Mesolithic and Neolithic skeletal remains, by Zuzana Hofmanova (2017) at the University of Mainz. Palaeogenomic data have illuminated several important periods of human past with surprising im- plications for our understanding of human evolution. 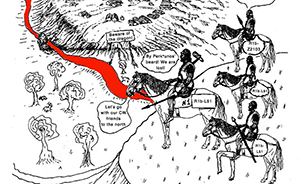 One of the major changes in human prehistory was Neolithisation, the introduction of the farming lifestyle to human societies. Farming originated in the Fertile Crescent approximately 10,000 years BC and in Europe it was associated with a major population turnover. 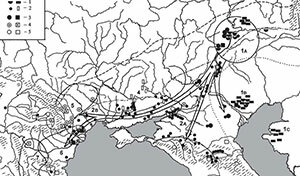 Ancient DNA from Anatolia, the presumed source area of the demic spread to Europe, and the Balkans, one of the first known contact zones between local hunter-gatherers and incoming farmers, was obtained from roughly contemporaneous human remains dated to ∼6 th millennium BC. This new unprecedented dataset comprised of 86 full mitogenomes, five whole genomes (7.1–3.7x coverage) and 20 high coverage (7.6–93.8x) genomic samples. 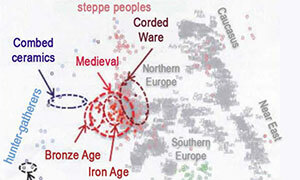 The Aegean Neolithic pop- ulation, relatively homogeneous on both sides of the Aegean Sea, was positively proven to be a core zone for demic spread of farmers to Europe. The farmers were shown to migrate through the central Balkans and while the local sedentary hunter-gathers of Vlasac in the Danube Gorges seemed to be isolated from the farmers coming from the south, the individuals of the Aegean origin infiltrated the nearby hunter-gatherer community of Lepenski Vir. 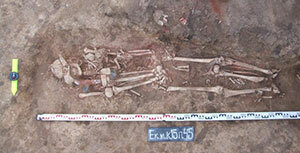 The intensity of infiltration increased over time and even though there was an impact of the Danubian hunter-gatherers on genetic variation of Neolithic central Europe, the Aegean ancestry dominated during the introduction of farming to the continent. 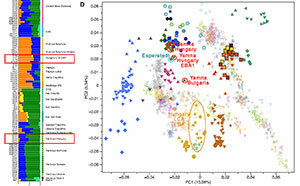 This increased genetic affinity of Neolithic farmers to Danubians was observed for Neolithic Hungarians, LBK from central Europe and LBK Stuttgart sample. Some post-Neolithic samples also proved to share more drift with Danubians, again samples from Hungary (Bronze Age and Copper Age samples and also Yamnaya and samples with elevated Yamnaya ancestry (Early Bronze Age samples from Únětice, Bell Beaker samples, Late Neolithic Karlsdorf sample and Corded Ware samples). 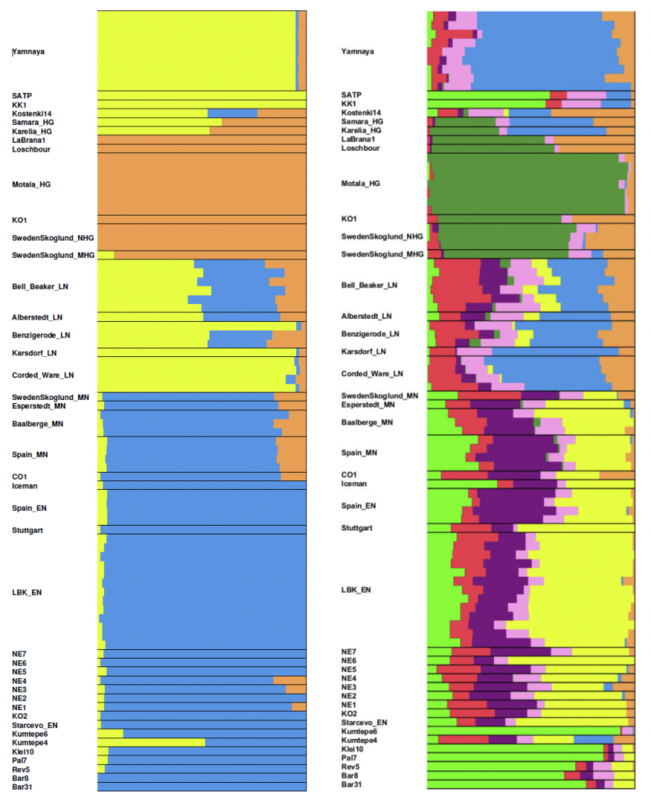 The results of our ADMIXTURE analysis for the dataset including also Yamnaya samples are shown in Figure S1c. The cross-validation error was the lowest for K=2. Supervised and unsupervised analyses for K=3 are again highly concordant. 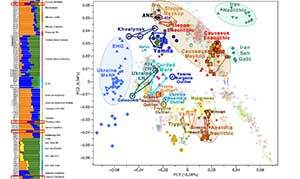 Early Neolithic farmers again demonstrate almost no evidence of hunter-gatherer admixture, while it is observable in the Middle Neolithic farmers. 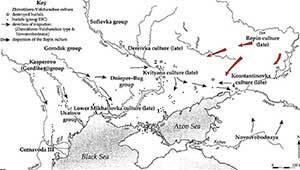 However, much of the Late Neolithic hunter-gatherer ancestry from the previous analysis is replaced by Yamnaya ancestry. These results are consistent with the results of Haak et al. who demonstrated a resurgence of hunter-gatherer ancestry followed by the establishment of Eastern hunter-gatherer ancestry. 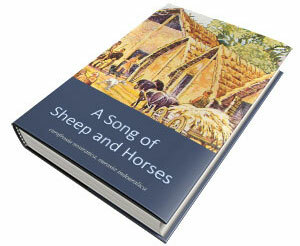 Image composed by me, from two different images of the PhD Thesis. To the left: Supervised run of ADMIXTURE. 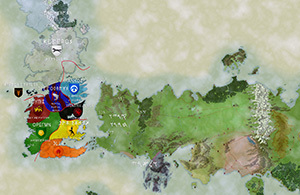 The clusters to be supervised were chosen to best fit the presumed ancestral populations (for HG Motala and for farmers Bar8 and Bar31 and for later Eastern migration Yamnaya). 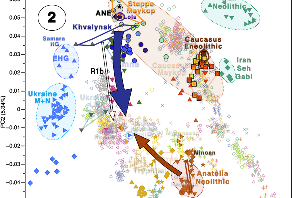 To the Right: Unsupervised run of ADMIXTURE for the Anatolian genomic dataset with Yamnaya samples for K=8.